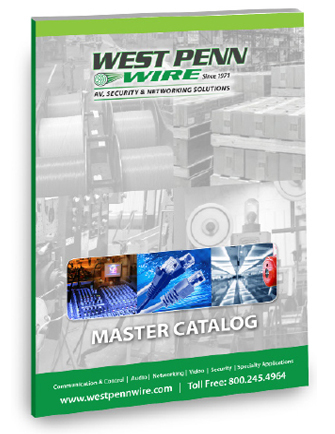 West Penn Wire designs and manufactures wires, cables, harnesses and related products for small, mid-size and Fortune 500 companies worldwide, as well as for higher education, healthcare and government organizations, and houses of worship. Our design, engineering and manufacturing excellence enable customers to obtain solutions that meet the most demanding requirements for audio, video, security and networking applications. WPW was established in 1971 and is part of the Belden group of companies (NYSE:BDC). 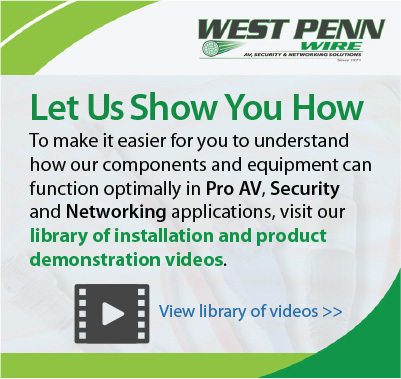 See our complete selection of cables, cable assemblies, control devices, accessories and tools to help you optimize the performance of PRO AV, security and networking systems.